Despite Valentine’s Day being this week, I didn’t actually make anything new for the blog this year. Instead, I made the family some of their favorite treats from previous years. This year’s ‘I Love You’ menu included our Hershey’s Kiss Rice Krispie Treats, Three Ingredient Red Velvet Oreo Fudge, and Red Velvet Cheesecake Brownies. A solid bevy of sweets in our household, perfect for a special dessert for all my sweeties. Instead of making something for the website that was specifically focused on Valentine’s this year though, I opted to make/share things with you guys that have special significance for the hubs and I, or the kids, the rest of the week. First up on the menu? 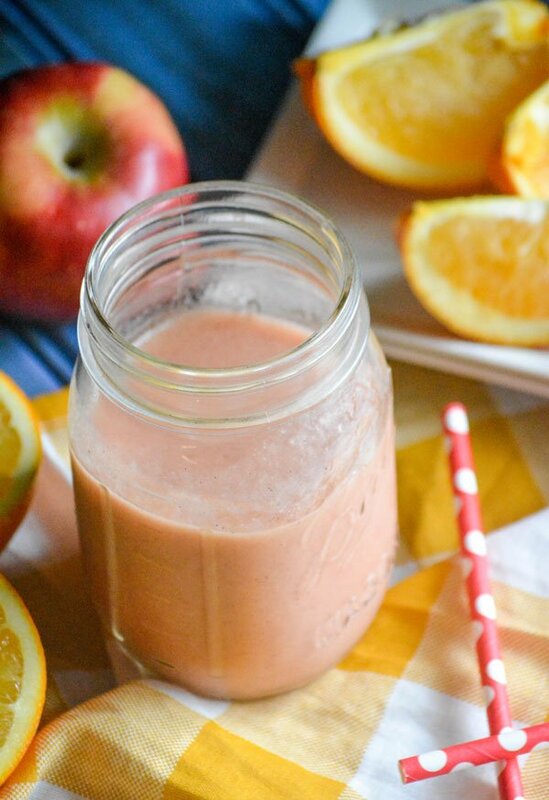 This sweet Copycat Tropical Smoothie Sunrise Sunset Smoothie. The hubs and I used to get date nights at least once a month, every other month seemed like a stretch. My how times change, lol. We now get date nights on special anniversaries and holidays, if everything works out and the planets and stars align. Anything else is pretty much a family date, and while we cherish those times, we do still try to sneak moments every now and then just for ourselves. One of the things we’re gonna cram into a 30 minute window? A smoothie date. We’ll sip on our treats and just sit and chat, catching up and seeing where each other’s at- even if we have to savor our small moment in the quiet or our car in the driveway, lol. While the hubs tries new things, all the time, wherever we go- I will always be found sipping on my one and only favorite smoothie. When we can’t sneak off to the store? 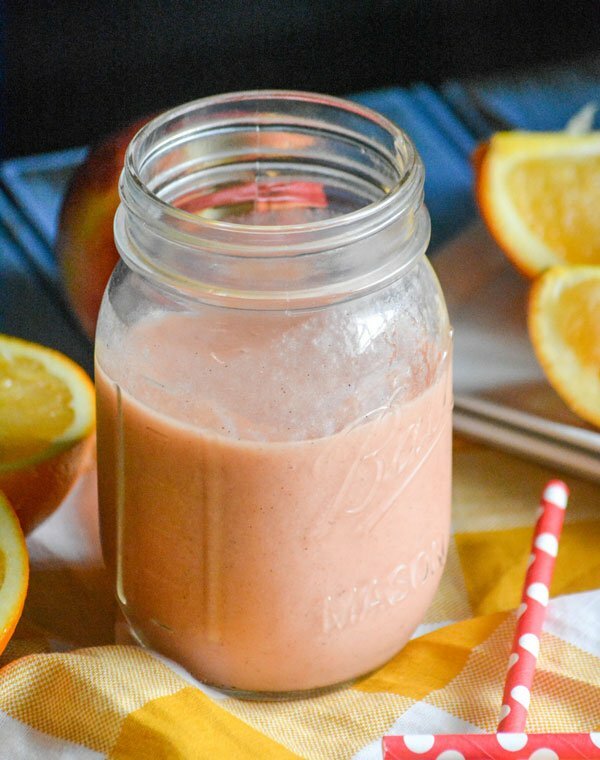 The hubs found a way to make my favorite at home- so don’t be surprised to find me with my feet propped up on our balcony, a book in hand, and a tall icy glass of this Copycat Tropical Smoothie Sunrise Sunset Smoothie this evening. 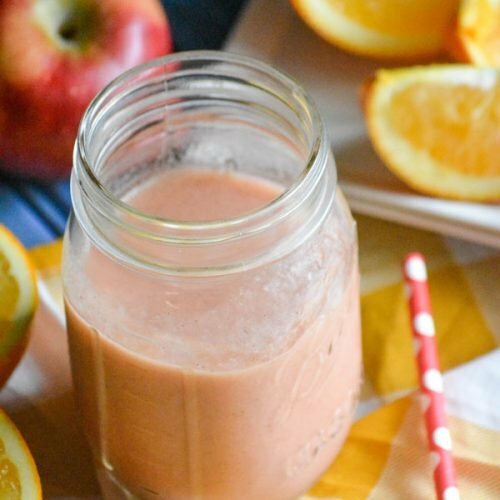 Icy cold, perfectly sweetened, with fresh fruit flavors from oranges, mango, pineapple, and strawberries it’s like breakfast, dessert, and your favorite healthy snack all rolled into one frozen treat. Quick and easy, you can whip up a batch to enjoy any time, any day, for any reason. 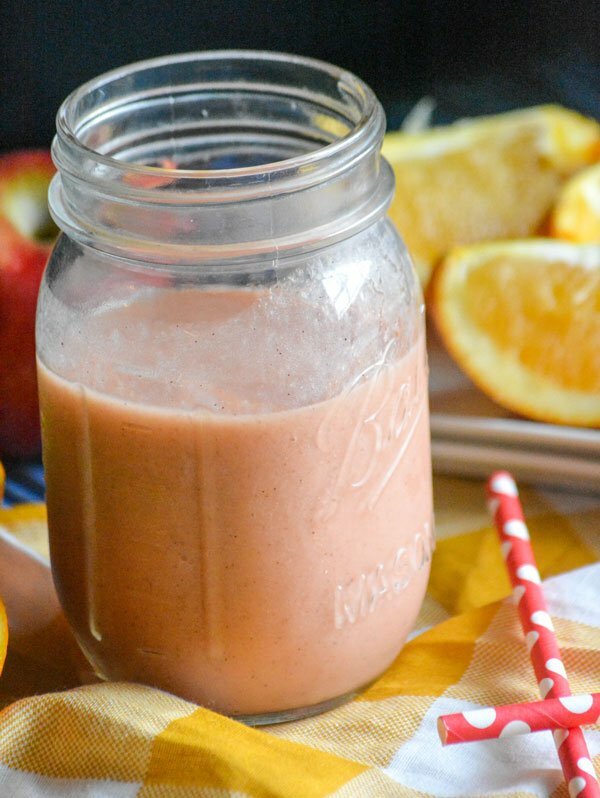 On Valentine’s Day, or any day, if you need to share a moment with someone you love- this Copycat Tropical Smoothie Sunrise Sunset Smoothie is the perfect thing. 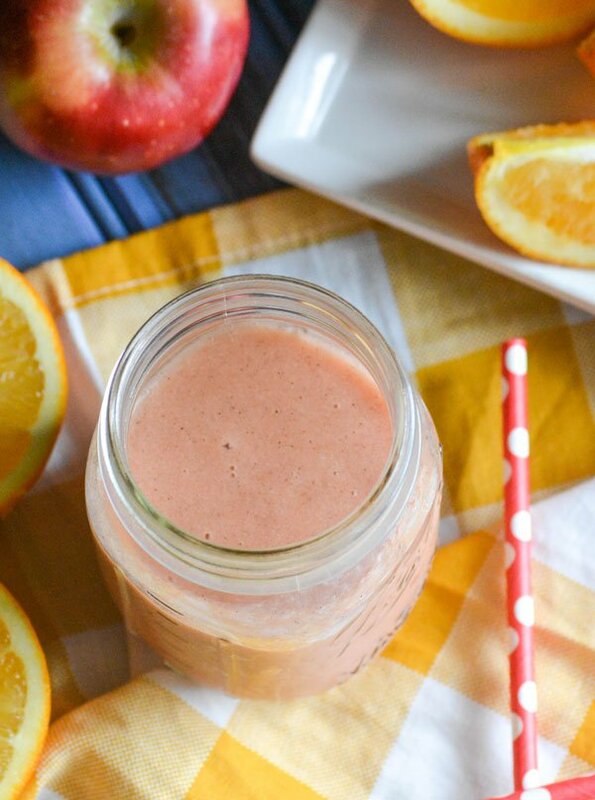 A spot on copy cat of Tropical Smoothie's delicious Caribbean-inspired Sunrise Sunset citrus fruit smoothie. Add all of the ingredients to the a high powered blender. Blend until the mixture's completely smooth, adding more ice if you desire a thicker consistency, or more orange juice if you need it a tad thinner. Pour the mixture into two large cups, add a straw, and enjoy! 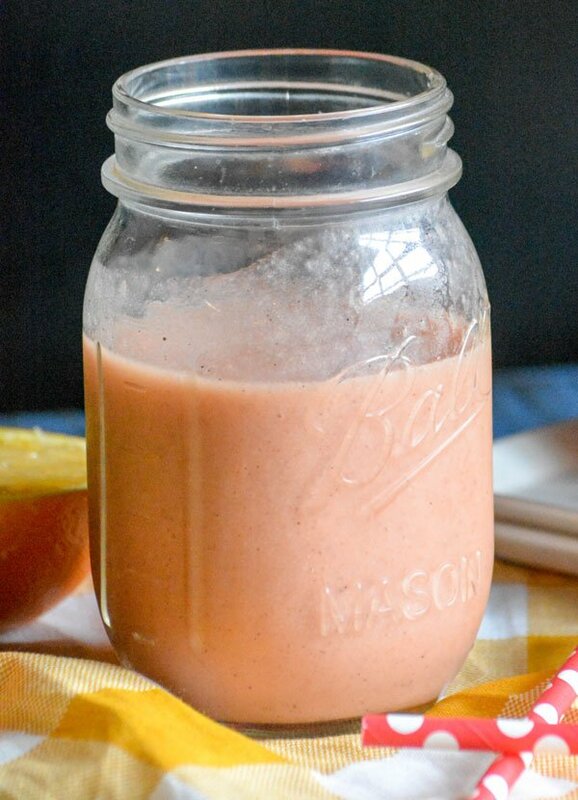 What a refreshing and nutritious smoothie recipe to brighten up the cold winter days. Thanks for sharing at FF!